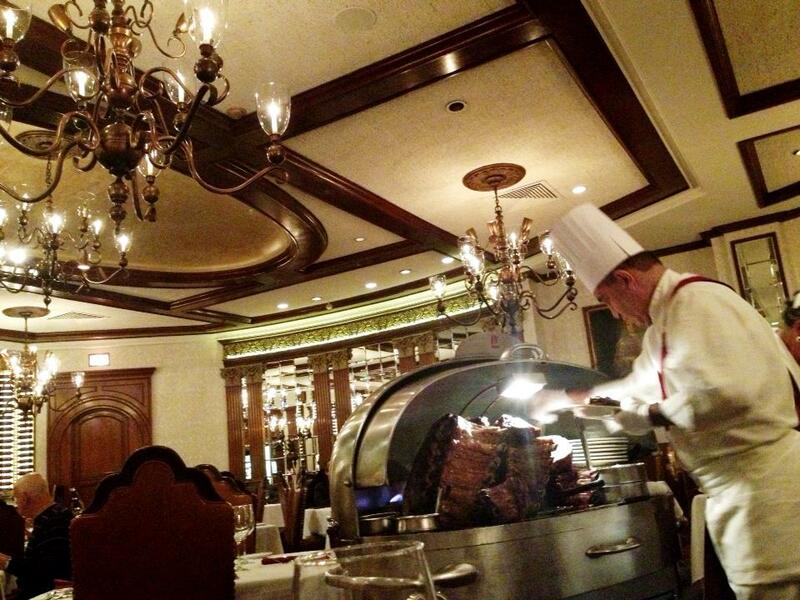 For her 30th birthday I took my meat-loving lady to Lawry’s, a classic dining room housing the city of Chicago’s finest prime rib. She squealed at first sight of the meat cart. My favorite part of the meal was the meat itself. Soft, rich, perfectly pink and juicy in an indescribably addicting rich meat gravy with super soft mashed potatoes. I cleaned my plate. 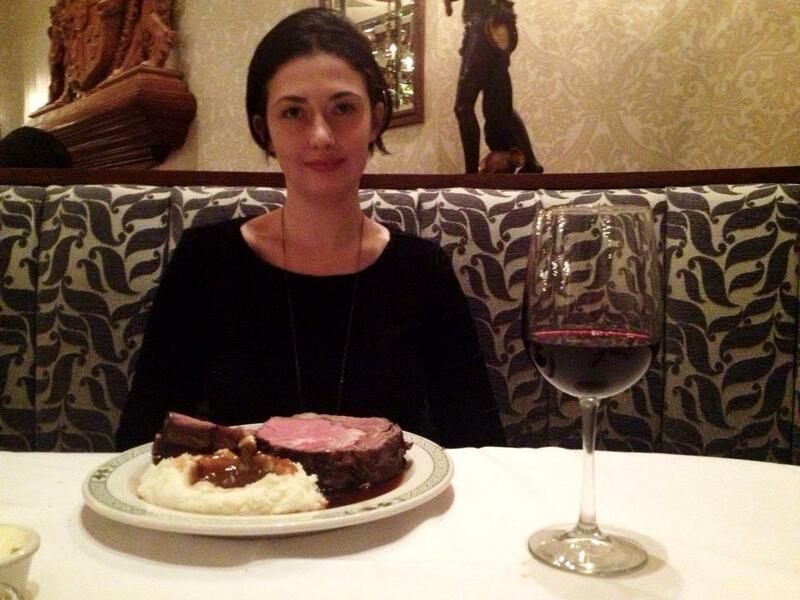 Etta got a much bigger portion of prime rib, called the Diamond Jim Brady cut. Her favorite part of the experience was the service. 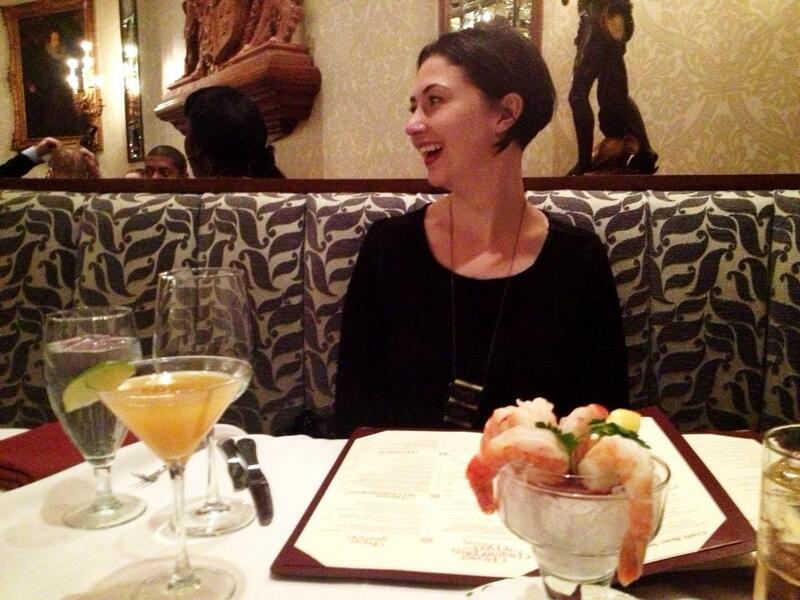 Our server, in old fashioned uniform with a bow on the back, was gracious and informative. The busser was amazingly efficient and did things that I did not think were possible, like cleaning and crumbing the table of forty seven different things in ten seconds. It was a deliciously old school meaty experience!